Revellers at the upcoming Buncrana Music Festival will be in for a treat this month when an event, which has been seen only once in a thousand years, takes place on the town’s Shore Front. The dramatic “living history” celebration “Defending Aileach” takes place at the end of the month and is to feature the highly unique sight of an ancient Irish chariot making manoeuvres and turning circles on Buncrana’s Shore Green. 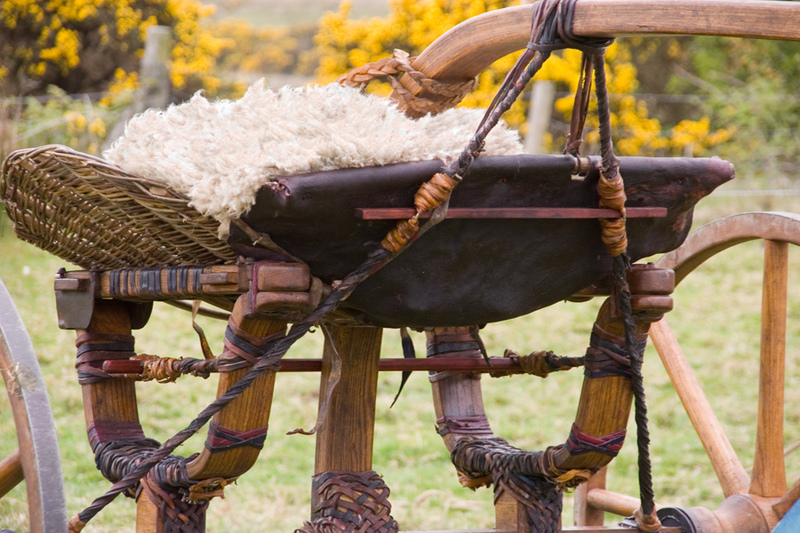 It will be only the second time in over a thousand years that an authentic Irish chariot will have been seen in action. Its creator, David O’Reilly, explained how the chariot was a reproduction “based on what we see on the Ahenny High Crosses of Ireland and what we have in museums in Dublin” and had been created using artefacts and technology of the era, circa 900AD. David – who works with his 15 year old son Raphael – said that they built the chariot during last winter and had been training the ponies for the last few months. The only time it has been seen in action in public since then, was at the recent Féile Grianán Ailigh in Burt. He added, while he is based in Galway and had been getting great interest in the project from across the nation, it was the people of Inishowen, who had so far been the most enthusiastic about the chariot. “I’ve been giving talks and representations on the chariot, but so far the most interest has been from Donegal. You seem to have got the whole idea straight off up there!” said David. Also lined up for “Defending Aileach” – which takes place on Saturday, July 28, from 12.00 – 6 pm – includes battle re-enactments and demonstrations by Eireann Edge, who will also be known for their performance at Féile Grianán Ailigh. Other events will include the chance to learn to sword fight or to try your hand at archery or man the bellows of an ancient forge – all of the watchful eye of a trained instructor. Finally, over 18s, who are interested in taking part in the battle re-enactments on the day, are encouraged to attending a training session on the morning of the event. For further details contact Bettina at unknownswilly@yahoo.ie.